Della is a US-based fashion accessories brand that sells handcrafted bags and other items produced by seamstresses working in the village of Hohoe, Ghana. The company also has an agreement with Apple to manufacture MacBook cases. 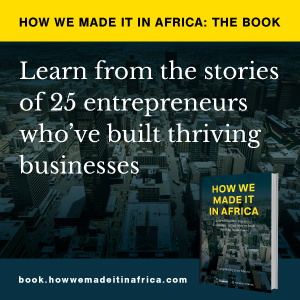 How we made it in Africa interviews Della founder Tina Tangalakis about the business. Give us an overview of how Della started, and where the company is today. I began Della when I went to Ghana as a volunteer in September 2009. My background is in design and I was very inspired by the local textiles. Before Ghana, I had freelanced with a company that manufactured accessories in China and distributed all over the US. Upon working with local seamstresses in Ghana, the idea hit me: why not manufacture in Africa? Local seamstresses I met were in need of steady work, and I wanted a career in design on my own terms: with a conscious. Della was a way of combining both. In the US, Della is set up as a for-profit company, not an NGO. Why is this? Technically, Della does qualify for non-profit status due to the programmes and good-will incentives offered to our employees and to the community. However for me these programmes are just an extension of human-decency and the way business should be run. I wanted to take a stand and show the western world, particularly the fashion world, that business can be both responsible and profitable. Also, I feel that non-profit fashion is not taken seriously in the United States. I wanted to prove that high-quality, fashionable products can come from Africa and be sold in the US market. Second, after my research, it was clear that there were two things needed in order to have a lasting effect on a developing community: education and commerce. Della does both. Della bags manufactured in Ghana. How do you manage a business spread out across two continents? Between Ghana and the US we have about 60 people involved with Della. Our Ghanaian team is managed by Selorm Nii Addotey, our operations manager and co-founder of Della. Alongside him we have two US employees who manage and oversee the team in Ghana. This includes production, sourcing, product development, quality control and distribution. We currently have 35 full-time employees and between 10 and 25 part time employees, depending upon production demands. I am in constant, daily contact with the team through emails, Skype and phone calls. I also travel to Ghana on a regular basis to help manage and maintain a solid relationship with our team. In the US I have a modest team of three, with a dedicated group of interns who work alongside us. It is very challenging to manage a business across two continents, but the key to success is finding solid employees who believe in your vision and are willing to work hard in order to make it happen. Tell us more about the MacBook cases produced for Apple; how did the deal happen? I find that any major sales accomplishment starts out like a courtship. It basically came down to getting in touch with the correct person at Apple, pitching them our products/story and taking it from there. There were several meetings and a lot of correspondence that spanned almost one year until we secured our first order. The cases we produce for Apple are custom fit for 11″, 13″ and 15″ MacBook devices. We use authentic Ghanaian fabric to decorate the front and the protective inside lining is made from a Ghanaian-made high-density latex foam. MacBook cases produced for Apple. What are the greatest challenges of running this business? Naturally there are always challenges behind a business, no matter where you work from. A dozen challenges can arise in one day and I find it useful to always be prepared and creative in order to overcome these obstacles. Currently, we continue to face challenges in working with textile vendors who understand the demands of the US market and can meet our deadlines on time. Aside from ensuring that our textile quality, design and colouring is correct, we need our products to meet industry standards. The US retail market is more strict in regards to the quality and specifications of products. Ensuring that the products we produce are up to these standards is something we need to constantly be aware of. Our goal is to be competitive in the US market, and to do so, we need to hold ourselves to high expectations. This is not about pushing western ideals or standards on our employees, rather, this is about being competitive on the world market. And your future plans for Della? Della has big things lined up for 2013. Currently we are working with a large retailer to launch a clothing collection this summer. We also have private partnerships and collaborations on the horizon which will enable us to grow and spread the word about Della. Our long-term goals include expanding our clothing line, continuing growth with our current retail partners, such as Apple, and expanding our production in Ghana’s Volta region.